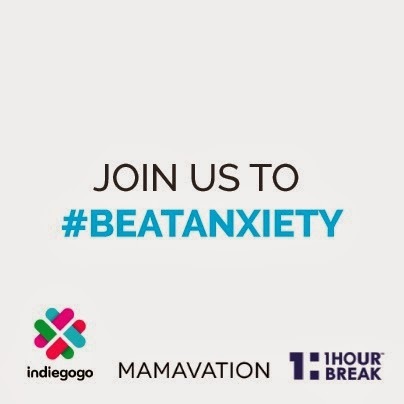 I am writing this post on behalf on 1Hour Break to help them spread the word about their Indiegogo campaign launch and open up the discussion on stress and anxiety. All opinions expressed are my own. Stress is linked to the top five causes of death in the United States. Stress and anxiety sufferers often self-medicate with pills, alcohol, cigarettes and food. I have a lot of stress in my life and I suffer from anxiety because of it. I talk about it here all the time. My doctor prescribes a low dose medication and it works to smooth out the rough edges. It helps me not be too wound up or easily agitated, and helps me to not go from zero to panicked when something stressful comes up. I still fully feel all of my emotions. I still cry easily. I am not "switched off" like some anti-anxiety medications or anti-depressants can make you feel. I like that my medication hasn't turned me into a robot, but I don't like sometimes still feeling the racing heart and churning stomach when something stressful hits me. I don't like losing sleep or not being able to catch my breath. I know that those things mean my body is having a reaction to a stressful situation, usually something related to my husband's health problems, and it might be hurting my body. So when I heard about 1Hour Break I was immediately intrigued. I haven't tried it yet, but I'm looking to get more info (and hopefully win a bottle!) during their Indiegogo campaign launch Twitter party on Tuesday, March 24, 2014 from 6-7:30 PM (PST). Because if an herbal remedy can help me quell the unhealthy moments of panic I sometimes feel, that would be pretty great. 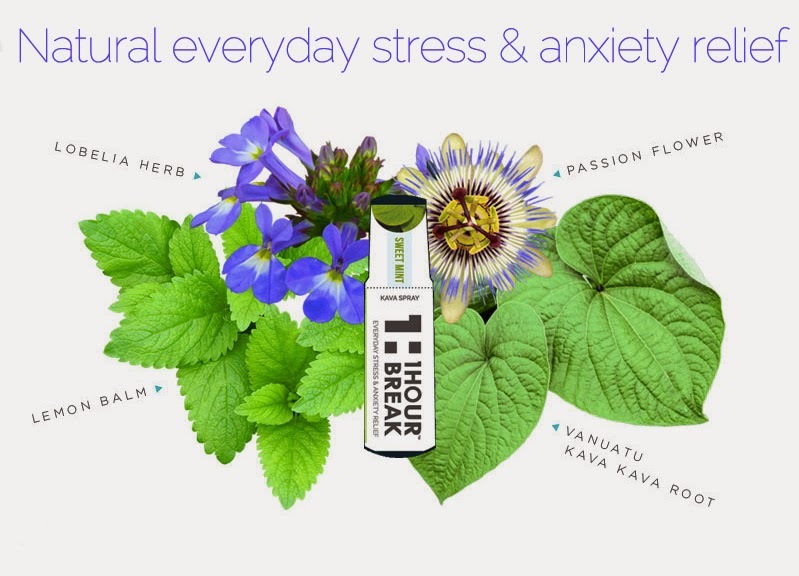 The makers of 1Hour Break are launching an Indiegogo campaign to raise money for manufacturing and bottling costs without getting big investors involved. The goal of the Twitter party to help open up the discussion on anxiety and give away great prizes! RSVP for the Twitter party HERE!